Have you ever needed to dig an emergency hole? Maybe that time when you’re in the bush and last night’s curry comes to visit again? Or when you desperately need to plant a tree or cut one down when you’re not home? Or maybe you just need to dig your vehicle out of some really soft sand or start a fire. Maybe you have to anchor a boat? 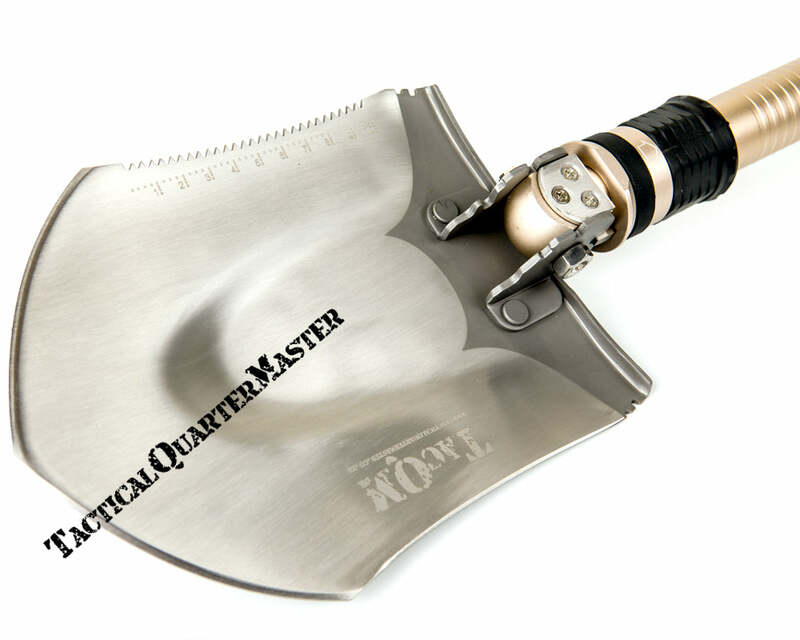 The Folding Shovel, constructed of Stainless steel is exactly the feature-full tool you need at hand. 90 Degrees - Pick or Hoe. 30 Degrees - Anchor for boat or to peg a Tent in soft soil. Right side of the shovel has a 10cm/27teeth Serrated edge to Saw with. 10cm Axe Edge on the left side which can be used as Lightweight Axe for chopping. Price includes Vat. Full costs displayed BEFORE you have to pay. Online Credit Card and EFT Payment options available. 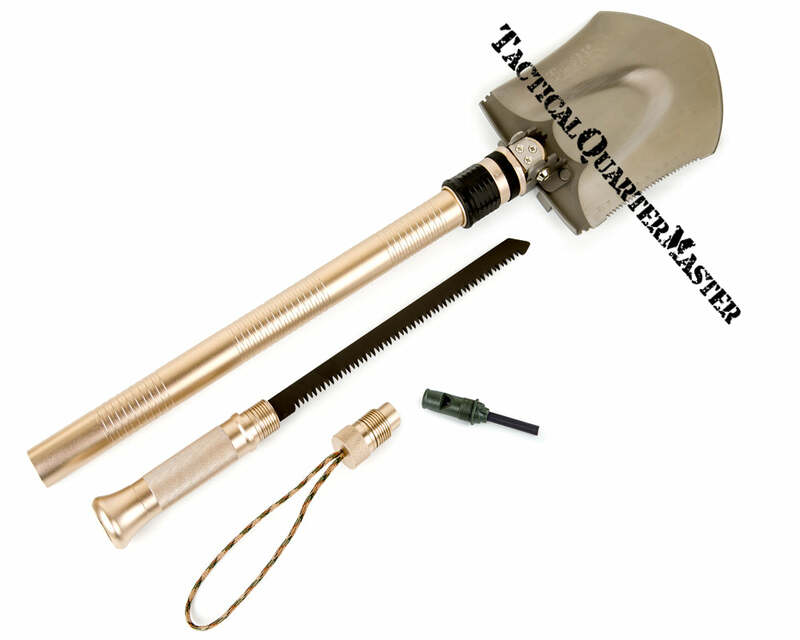 http://www.tacticalquartermaster.co.za we are ONLINE, deliver Nation-Wide, Door2Door OR you are welcome to Click’nCollect.